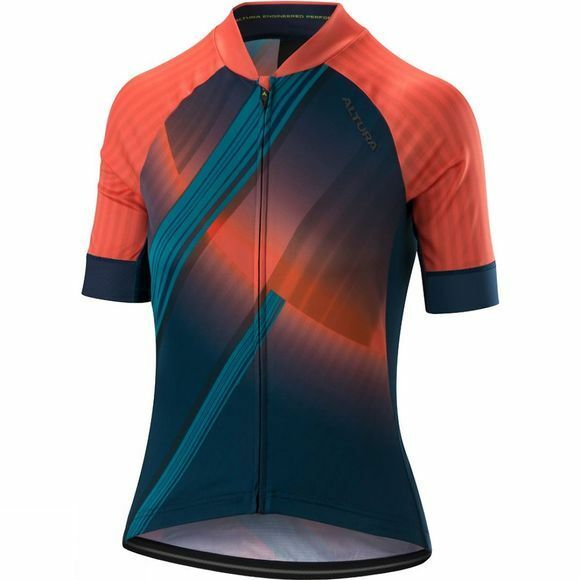 Designed for out of this world performance, the Altura Women's Icon Satalite Short Sleeve Jersey will help you reach a new personal best. 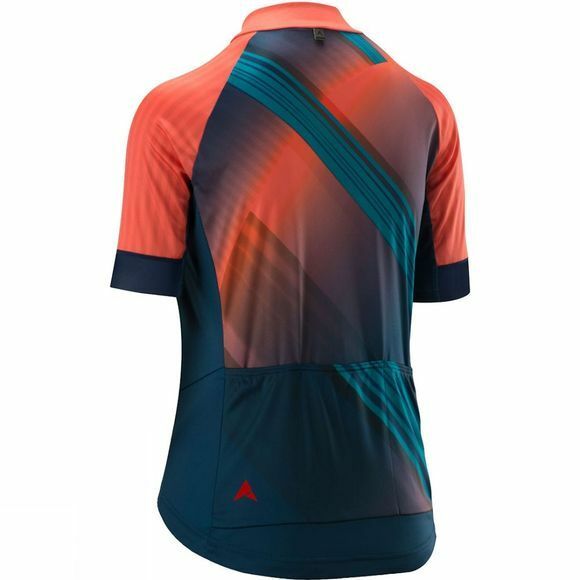 When you work hard, so does this jersey, wicking sweat away through the capillary action fabric and ventilating via the mesh underarm gusset. It's constructed for speed without sacrificing comfort. The vibrant design featuring futuristic look and feel makes a statement and the high-performance fabric backs it up. Other advantages include all-round safety from the 360° reflective detailing. Plus plenty of storage capacity for long days in the saddle, thanks to three large rear pockets. With this jersey you're all set for summer.